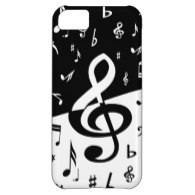 With the introduction of Apple's iPhone 5C, we are featuring cases and covers with music themed designs ~ perfect for protecting your new iPhone. 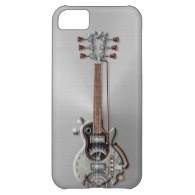 We have selected iPhone 5C covers to suit a wide range of tastes and musicians, including guitarists, DJs and music lovers from all walks of life. in a black circle with a gold border on a beautiful golden colored background. 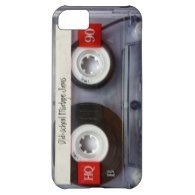 A popular retro style design featuring an image of a clear cassette tape. The text on the sticker on the iPhone 5C cover can be personalised. 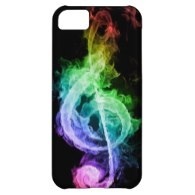 iPhone 5C case featuring a large treble clef in the colors of the rainbow with a stunning smoke effect on a black background. For DJs and music lovers, it's raining headphones! 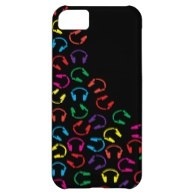 This is a fun iPhone 5C cover featuring cascading headphones in bright colors on a black background. 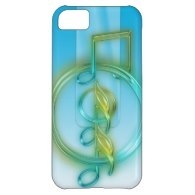 cover in a modern style featuring neon styled glass musical notes in gold and aqua on a vibrant blue background. 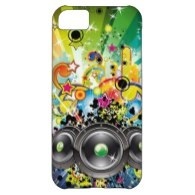 A collection of cases for the iPhone 5C for musicians and music lovers ~ from vintage to retro to modern with all styles in between. 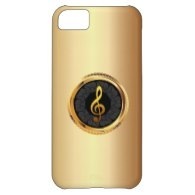 Stereo systems, music notes and musical instruments galore, with saxophones, pianos, tambourines and clarinets featuring in the selection of iPhone 5 covers below.